Out of the thousands of wines and spirits our team tastes over the course of a year, here are the bottles that we think are worthy of serving and giving to our nearest and dearest – and to ourselves – this holiday season. We’re sure you’ll find something for everyone on your gift list, as well as a treat or two for yourself. Go ahead. You. Deserve. It. This is Jagermeister’s cool older-sister and is only a couple bucks more. The Borsci truly smells like Christmas to me – it’s all bittersweet cocoa, cloves, allspice and peppercorns. After working long holiday hours all I want to do is curl up with my dogs and sip this warming spirit! Isn’t there someone on your list who’d do the same? Funky, off-the-beaten-path wines like this one have been blowing up for us recently. By ‘us’ I not only mean Bottles, but also my group of friends. Each bottle is a fun surprise, and this Willamette Pinot Gris is no exception. The French term ‘Marigny’ translates to ‘the neighborhood’ so it’s perfect for gifting to friends, family and whoever else decides to stop by for the holidays. This holiday season I will be gifting my bourbon-loving friends the Old Forester “Bottles Private Barrel.” This is a totally unique whiskey that was hand-picked by our team during their trip to Kentucky in early 2017. With notes of caramel, vanilla, and oak, it hits every flavor that I love in a classic bourbon. I can only hope I get to enjoy some of the bottles that I’m gifting away! For every holiday dinner, I like to bring my family a bottle of wine that they won’t be very familiar with – I think it makes the dinner more special. This year it will be the Turasan red blend from Turkey. It’s full of blackberry and thyme notes at the beginning, and refreshing fruit flavors follow at the finish. This wine will pair beautifully with your dinner, and will absolutely impress your family and friends. Kings County makes their Chocolate Whiskey by steeping artisan cacao husks sourced from Mast Brothers Chocolate Factory into their award-winning Moonshine Corn Whiskey. The mellow sweetness of the un-aged whiskey harmonizes beautifully with the rich, bitter chocolate giving way to a remarkably smooth finish. ‘Fancify’ your espresso martini or, you know, stick a straw in it and call it a day. It’s a great gift for the gourmand on your list! Certified biodynamic, this wine makes the perfect gift for that friend who geeks out over “natural wine.” Somló, a tiny wine region in Hungary, is home to an extinct volcano that provides unique mineral-rich soil ideal for growing grapes. Juhfark is a rare grape variety exclusive to this region, which produces savory wines that are remarkably aromatic and unlike anything else. Meinklang’s expression undoubtedly lives up to that name. My personal quest in whiskey has been to find the best value for the dollar, especially when it’s my own dollar! Prichard’s has become my house-pour-favorite for just that reason. It’s not overly aggressive, and at just 86 proof it is incredibly pleasant to drink just on the rocks. It’s also not so dauntingly expensive that I cringe if someone wants to mix it (gasp!) it in a Manhattan. The only downside is there just isn’t a ton of it to go around. Get ’em while we have ’em! It deserves a place on your home bar this holiday season! This is one of the all-time great holiday wines. It’s an off-the-beaten-path soft sparkler that is just a touch sweet with beautiful structure. It’s an unreal accompaniment to roasts and also works great as a starter to get the evening rolling. Though it’s not outrageously priced for what it is, it is indeed worth every penny. This domestic brandy is a lovely treat to share with your guests during the holidays. Definitely not your Grandpa Joe’s harsh brandy, this is a whole different animal with a round, warm finish of toasty oak and butterscotch toffee. Enjoy this with pecan pie, Hamantaschen or your best stinky cheese platter! What a great gift for the Italian Wine Lover! It’s perfect for all Italian holiday fare, but shows especially well with lasagna and braciole. It has elegant tannins and fruity aromas of ripe Bing cherries and red currants robed in flavors of cedar, balsamic, fresh tobacco leaf, bitter orange peel, and hints of bay leaf. Yes please! This is a bourbon drinker’s rum! 90% of it spends 12 years aging in a bourbon barrel, while the remaining 10% sleeps nicely in a Madeira cask. It’s smooth and soft with a nose that hints to the Madeira, and finishes with a sweet bourbon vanilla mouthfeel. It’s a wonderful gift for the bourbon drinker in your life who has everything; it’s a terrific substitution for bourbon in a Manhattan! The 2015 is the second vintage of famed wine-maker Arianna Occipinti’s wines to see fermentation in concrete versus stainless steel; as a result, the wines are showing depth and a velvety finish that is not typical of Frappato. This one in particular is brilliant in color and finishes with finesse and delicate fruit. It’s a very special wine, worthy of a celebratory meal or an extra-special person on your gift list this year. This edition of Compass Box’s Flaming Heart is the fourth in its line-up of unique, limited release blended Scotch whiskies – and is totally worth the splurge. It’s a mix of selections aged in French oak, bourbon, and sherry casks, which makes for a wonderful peaty, fruity, spicy blend. A sip of this treat is full of the baking spices, dried fruits, and smokiness that any cozy Christmas night by the fire should include. It’s a great, great gift. Need an impressive gift? Look no further. This Chappellet offering, grown on the distinctive Pritchard Hill in Napa Valley, is aged in French oak for a thoughtful finish to an American-grown Bordeaux-style blend. With cedar, spice, and plum on the palate, the wine is complex and satisfying all the way through its velvety, earthy finish. It may just be my gift to myself this year. This is a great gift for a whiskey drinker looking to try something new. Fans of bourbon, Highland scotch, and even Irish whiskey find something new to love in rye. Light pepper spice and heat quickly soften to a rich, earthy vanilla flavor—a unique duality that made me want it with dessert, or maybe as a dessert replacement, instead. This is my go-to dinner wine for the cold months, and it is an absolute standout for this season. Medium-dry, with flavors of soft cherries and sweet spice, this is ideal for hearty meats and vegetarian dishes alike. 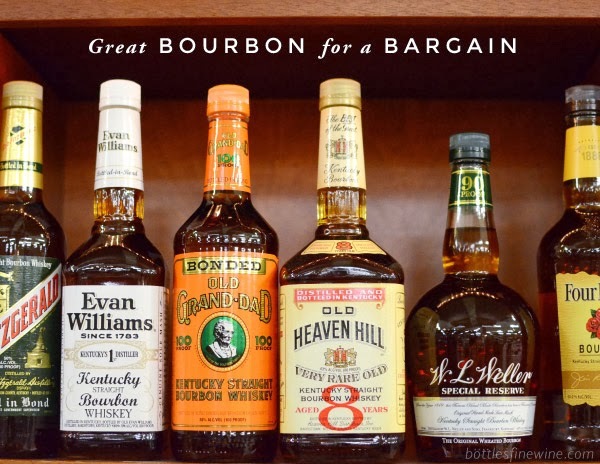 My family often plans things last-minute, myself included, but it looks like I know what I’m doing when I put a bottle (or two – look at that price!) of this on the table. Balcones Distilling is located not too far from where I was born in Texas, and it makes me happy to have a little piece of home here in New England. This overproof grain whiskey is truly unique: It’s a bit like Scotch on the nose, but with an identifiably American flavor profile. It’s a perfect gift for the serious, adventurous whiskey fan on your list. “The Black Wolf” is 100% Nero D’Avola, fermented in cement with wild, indigenous yeast. It’s the exact kind of zesty, bright, herbaceous wine I want on my holiday table this (or any other) year, and makes a terrific gift for the choosy, hard-to-please wine-lover on your list: COS is arguably Italy’s top “cult” winery of the moment, and with good reason. Happy Holidays from all of us at Bottles! This entry was posted in Gift Ideas, Other and tagged christmas, gift, gifts, holiday on December 6, 2017 by bottlesfinewine. bottle he’ll love this Father’s Day. Heck we’ll even wrap it for you. It’s that simple. Here are our top picks, a mix of hard-to-find, new-in-store, and just plain delicious. This entry was posted in Gift Ideas, Other and tagged father's day, tequila, whiskey on June 14, 2017 by bottlesfinewine. Mini Bottles of Bubbles: 187ml of fizzy fun (that’s just over a glass to you and me) from Champagne to cava and a few styles in between. Canvas Flask – Made in the USA, pocket-sized for big fun with the filler of your choice. Viski Julep Strainer – a bar staple not just for juleps! St. Germain – the most beautiful bottle in the store, palm sized. Wigle Bitters – made with small-batch, organic Wigle whiskey and infused with all matter of deliciousness. Bittermens Citron Sauvage Liqueur – a bitter grapefruit aperitif for those who love to play with their cocktails. St. George Raspberry Liqueur – precisely flavored liqueurs, ideal for sipping and mixing, from CA with love. Macallan 12-Year Half Bottle – a perfect fit for Scotch lovers! Multi-Colored Pull-Tap Corkscrews – the cork extractor of choice among wine professionals. Silicone Corks – a colorful way to keep your wine fresh! Pizza Coasters – a set of 3 flavors (pepperoni, cheese & veggie). Iron Lobster Bottle Opener – for the New Englander in us all. Nips – With its real wax coating, the Maker’s Mark mini-bottle is one of our favorites from the over 50 we have in store. This entry was posted in Gift Ideas, Other and tagged nips, stocking, stuffers on December 15, 2016 by bottlesfinewine. In addition to his other important responsibilities here at Bottles, Liam spends a good bit of the year compiling a list of well-crafted, tasty bottles for you to give to the spirits enthusiast on your holiday gift list. Some of the labels that made this year’s cut are new to Rhode Island and others are favorites that have stood the test of time. This entry was posted in Gift Ideas, Learn About Spirits and tagged amaro, bar hill, borsci, bruto, caffo vecchio, capo, glenrothes, koval, limoncello, st. george on November 30, 2016 by bottlesfinewine. Star Wars ice cubes? Rhode Island themed beer mugs? How about an absinthe gift set? Who says grown-ups can’t have fun gifts for Christmas! Check out this list of stocking stuffers for under $20 that will please and amuse folks that enjoy wine, beer, and cocktails. Vodka: A Global History by Patricia Herlihy – Learn about the history of vodka in this book with Patricia Herlihy, a Brown University professor and our favorite vodka expert around town! Star Wars Silicone Ice Trays – Choose from a Death Star, Boba Fett, or Han Solo in Carbonite. Lucahdor Bottle Openers – A mini wrestler applying a famous lock hold on your beer bottle! Absinthe spoons, glass, and sugar cubes – All the accessories you’ll need to enjoy Absinthe the traditional way. Wine Monkey – Heading to a get-together? Slip a Wine Monkey onto your bottle of Bordeaux and you’re covered. Mystery Nips – A variety of liquor nips – it’s a surprise what’s in each box! Wine Aerating Pour Spout – An aerating spout that draws oxygen into the wine, bringing our its full flavor. Greeting from Rhode Island Beer Mug – A hefty beer mug etched with our very own ‘Greetings from Rhode Island’ design. Dapper ’Staches Drink Markers – Keep your party classy and your drinks distinguished. Simply apply one to your glass. This entry was posted in Gift Ideas and tagged beer, bottles, cocktails, drinks, gift ideas, gifting, stocking stuffers, wine on December 9, 2014 by bottlesfinewine.